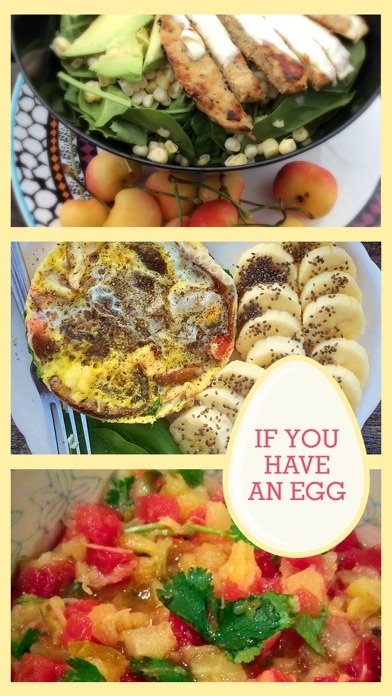 Download the App for If You Have an Egg for a unique way to increase your diet success. Access recipes, informational links, shopping guidelines and more that will enhance your journey toward healthier eating, right on your smart phone. Scroll through for examples of regional American cuisine that keeps cooking simple, delicious and healthy. Recipes can be adjusted to fit dietary guidelines and there are inspirational stories of people who have lost weight, kept it off and enjoyed a healthier lifestyle. Help, advice, inspiration, and practical tips when you tap the App for If You Have an Egg. The App for If You Have an Egg provides low cost access to: •	A list of some of my best recipes •	Quick reference shopping guides with Weight Watchers ™ SmartPoints™ •	Continually updated SmartPoints™ information at no additional charge •	Access to my blog and social media sites •	Notifications and updates If You Have an Egg is an inspirational, practical, weight loss blog from Kelly Milligan in Knoxville, Tennessee. Using principles from Weight Watchers ™, this blog gets dieters off the yo-yo dieting cycle and into a plan they can customize, use and succeed with. There’s a lot you can do with eggs (something in almost everyone’s fridge! ), and Kelly puts it all out there with humor, understanding and practical tips. When you tap the App for If You Have an Egg, you have hope – right at your fingertips. 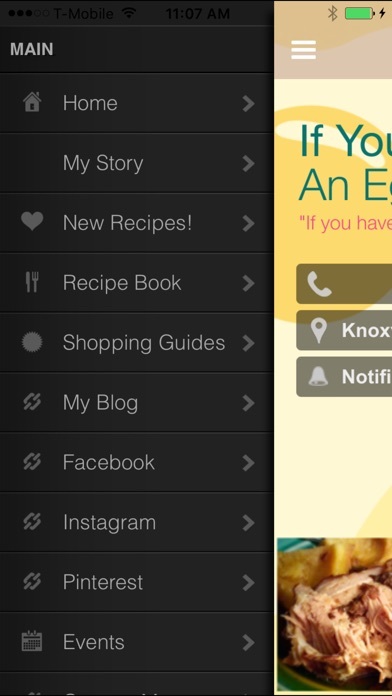 I Love all the content that is app offers, from recipes to shopping list, blogs and live chat info. The app creator has been on the same journey and is on a mission to make your journey just as successful by giving you all the tips, tricks and information to help you along the way. It is the companion tool to my WW app. Love this app for all the info it has and the way it is presented. Tons of great info and tips to help us on our weight loss journey. Also very pleasing to the eye! 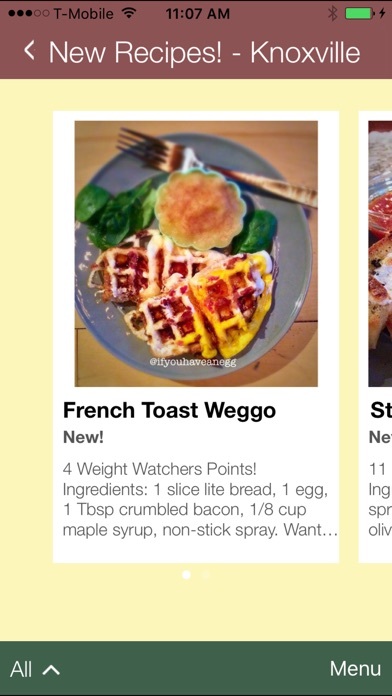 This app has really helped me on weight Watchers. Love her lists for different stores and I know the smart points are accurate! I use this app all the time for meal ideas, shopping lists and Kelly is just full of good advice and tips. Love this app!! 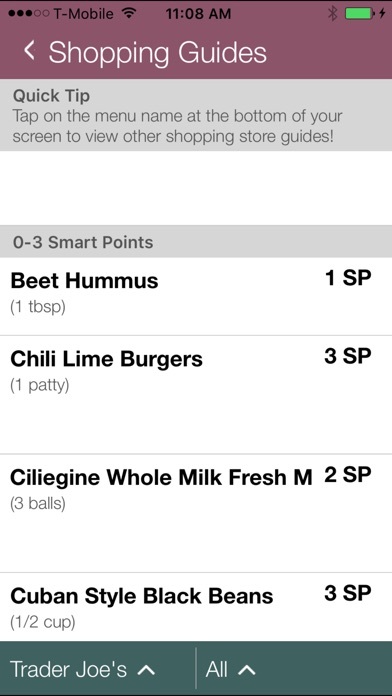 Wonderful recipes, easy to read info, highly recommend this app! Kelly is amazing! Her variety of products definitely helps when I'm standing there in the store trying to figure out what I should buy. There are still a few things saying "coming soon", but this app is still new and I can't wait to see what all she has! Such a cute design, and a great way to help anyone who is trying to lose weight but still enjoy their meals! I love this app. It still has things that are coming soon but I'm willing to wait!! 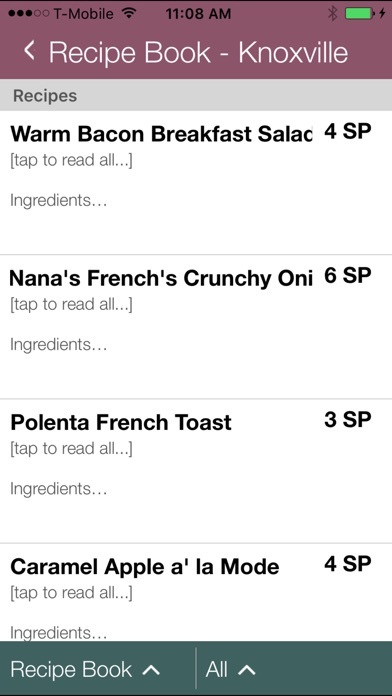 Amazing way to see how I can better my shopping for my WW friendly foods!! !